The remodeled kitchen for a growing family was motivated by dead and dying appliances, deferred maintenance from previous owners, unsafe features, and a rapidly-changing lifestyle. They had a list of requirements, including a professional range and hood. To achieve this, a wasted corner of the living room was incorporated into the kitchen, so they could prepare favorite food with lots of countertop and storage on both sides of the range. They selected a book-matched “Juparana” granite for the countertops with strong diagonal pattern that was perfect for highlighting the backsplash between the hood and the range. The wife wanted other backsplash material in the kitchen, so a silvery slate tile was chosen. 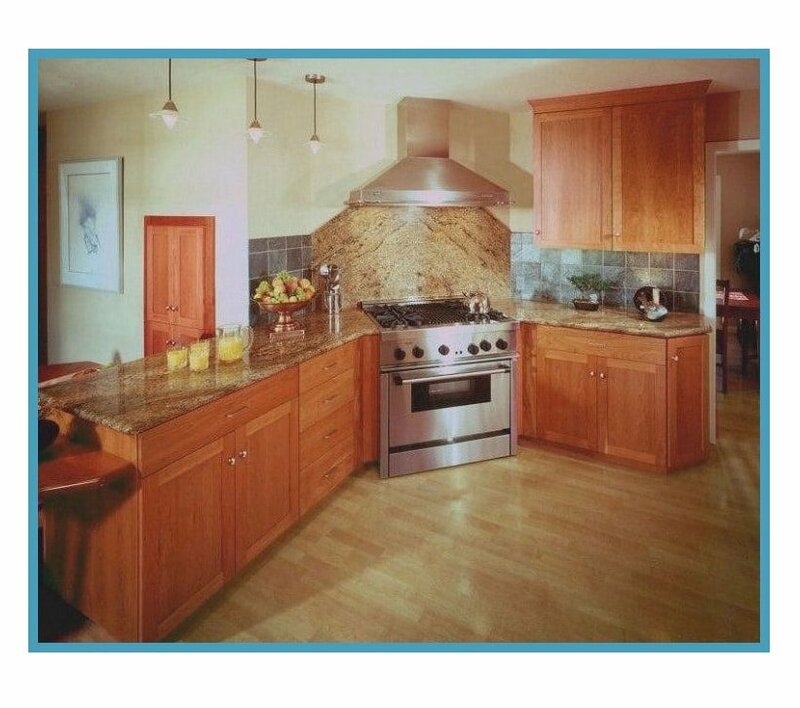 The kitchen has custom-modular natural cherry “Shaker” cabinets, and easy-to-maintain laminate flooring that blends with the background color of the granite. 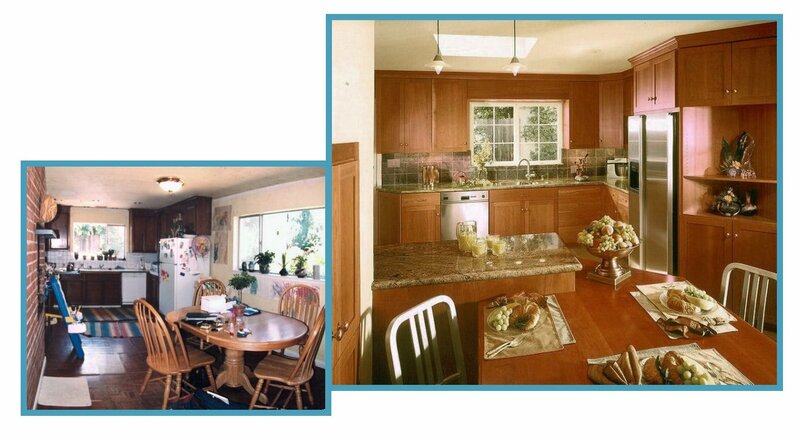 The remodeled kitchen is perfect for their growing family!